We want you to achieve more – more visitors, more attention, more success. And we’ll do everything possible to help you achieve this. Apart from an attractive trade fair concept, we will also support you with extensive marketing services to contact and acquire visitors – from free advertising to digital advertising measures and advertising within the Vincentz Network media to achieve greater coverage. Inform your customers that you will be attending ALTENPFLEGE 2019 – with our digital visitor leaflets. Simply download the leaflet in DE or EN and use it as part of your e-mailings. 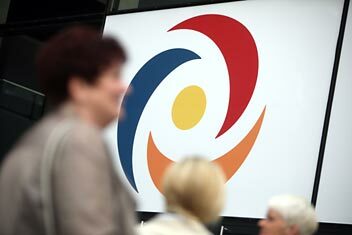 Make the most of your company website or e-mail boilerplate to draw people’s attention to your attendance at ALTENPFLEGE 2019 – with individual online banners. Our online banner generator offers you three banner formats that you can individualise with your company name as well as your hall and exhibition stand number. To the Online banner generator. 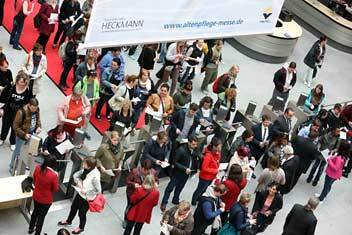 Increase the number of relevant visitors to your stand: e-tickets and vouchers let you target invitations to your customers and prospective customers to visit ALTENPFLEGE and naturally also your stand. >> Reach more visitors now with e-tickets and vouchers. Naturally we can offer you the ALENPFLEGE 2019 logo as well as a detailed site plan to download. You can incorporate both into your website or also integrate them into other advertisements. In addition to visitors advertising, we can also support you in contacting press representatives: As an exhibitor, you have the possibility of booking up to two press pigeon holes in the ALTENPFLEGE 2019 Press Lounge. That way you can make sure that accredited journalists have access to your company publications, press texts and product releases at all times. The Vincent Network offers access to major advertising carriers if you wish to reach and address a wider trade public alongside your existing customers.